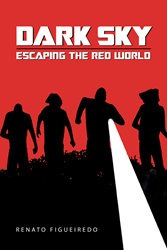 Recent release “Dark Sky: Escaping the Red World” from Page Publishing author Renato Figueiredo is a suspenseful novel about a teenager’s existential circumstances amid a society ravaged by injustice and a devastating catastrophe. Renato Figueiredo, owner of Prolivet, a veterinarian for medical and surgical clinic of small animals, and a teacher of vocational courses, has completed his new book “Dark Sky: Escaping the Red World”: a conceptual and ponderous narrative of a boy named Yob and his ill-fated moments through hostile terrains, harsh conflict, and emotional turmoil. Published by New York City-based Page Publishing, Renato Figueiredo’s first-person tale emanates with political ideologies, romance, action, and adventure, all blended together in a powerful opus that is the first of its trilogy. Readers who wish to experience this highly defining work can purchase“Dark Sky: Escaping the Red World” at bookstores everywhere, or online at the Apple iTunes store, Amazon, Google Play, or Barnes and Noble.